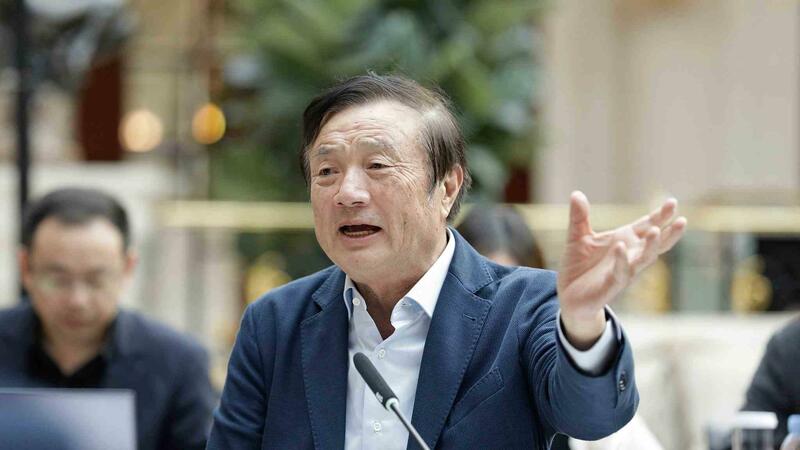 BEIJING, Jan.16 (CGTN) -- Huawei has never and will not spy for the Chinese government, said Ren Zhengfei, founder of the tech giant, in a rare interview on Tuesday as his company undergoes continuous espionage accusations. According to Bloomberg, the 74-year-old entrepreneur also said there is no “close connection” between his personal political beliefs and the company's business. “Huawei firmly stands on the side of customers when it comes to cyber security and privacy,” Ren said. Although Huawei has long rejected security and privacy concerns from Western countries, it has suffered from intensified pressure since the arrest of Ren's daughter, Meng Wanzhou, in the Canadian city of Vancouver where she is a permanent resident, as well as the limits imposed on company in several countries. But Ren is confident that Huawei's revenue would continue growing to 125 billion U.S. dollars in 2019 from more than 100 billion U.S. dollars in 2018, according to Bloomberg.